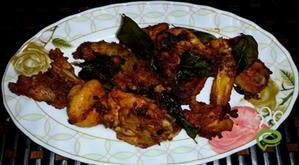 Ghee Roast also called as nei dosa is a tasty and crispy south Indian traditional breakfast or main dish.It is a favourite dish for most kids. 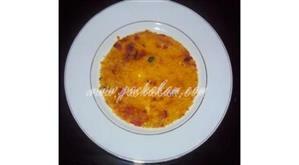 This can be served with varieties of chutneys and sambhar. Soak black gram in water for 5 hours. Add enough water and grind it nicely so as to become a smooth paste. Add salt and leave it for about 7 to 8 hrs for fermentation. When fermented, add maida with enough water. Beat it nicely so as not to form clots and keep aside for 1/2 an hour. The batter should be thick enough to pour it on the dosa tawa. 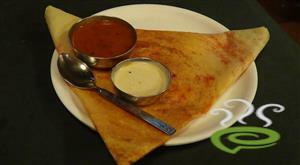 Heat the dosa tawa and pour one ladle of batter and turn the ladle over the batter in three or four rounds so as to get thin crispy dosa. 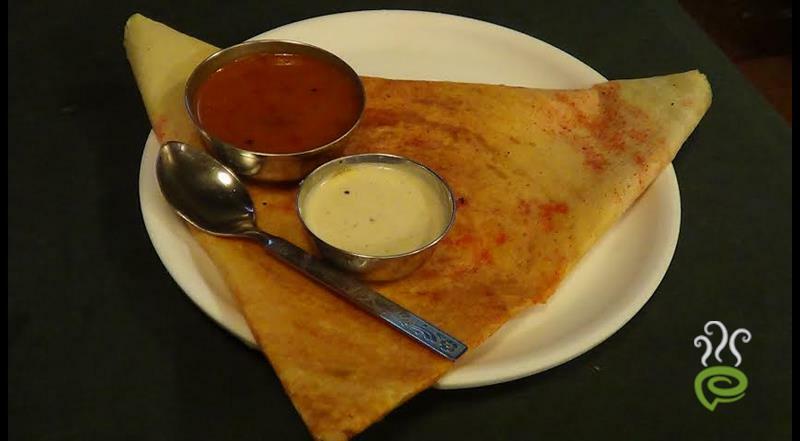 Spread ghee on sides of dosa. 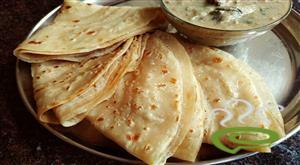 Roast dosa on both sides till slight brown on low flame. Remove onto a serving plate. 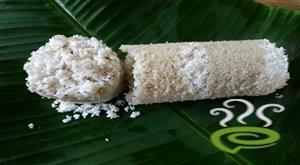 1)Grind together coconut, green chillies, ginger and salt to a smooth paste adding enough water. Transfer them into a bowl and add salt. 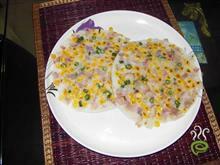 Add mustard seeds and when it splutters, add curry leaves. Pour this into the bowl and mix well. It came out very nice,almost restaurant style. It wouldnt stay crisp for long though, dont know whether it has to do anything with the amount of water I added. hi I havenot heard abt putting maida in ghee roast. it will b better to use rice. 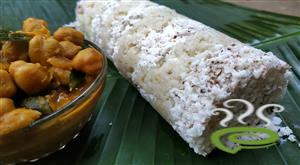 for more crispiness u can add channa daal. A very simple and wonderful receipe! Tastes really good. Hi !! The recipe sounds alright except for the part to do with maida batter. 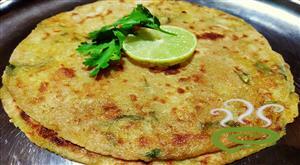 Could you please tell me whether maida batter to should be added to the urad dal batter. Thanks for the recipe anyways.